It was 83 degrees in New England yesterday. It felt like we just skipped over spring and headed right into summer. Honestly, I did not mind one bit. Though I like temperatures in the 60's and 70's, the warmer temperatures had me thinking about this new NARS Summer 2011 Collection, and I can't wait to play. 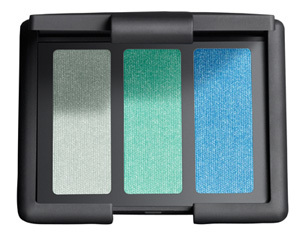 Ccreated by Founder & Creative Director François Nars, boasts bright colors reminiscent of the tropics. Neon orange gives an unexpected pop of color along with bright white, coral and cantaloupe. The highlight, Cap Ferrat Trio Eyeshadow, fuses three cool-toned variations of teal for an effortless day-to-evening transition. The NARS Summer Collection is available right now at narscosmetics.com, Sephora.com and Sephora stores, as well as select department stores.